Cars repossessed from Absa, Standard Bank and Nedbank in South Africa for those looking to buy a pre-owned vehicle. Are sold off at auctions through companies such as Birchmores in Durban, Cape Town, Johannesburg and other areas around the country. As the credit crunch takes hold many are struggling to hold onto possessions that have been financed by the bank. So vehicles are top of the list. Sad as this may be, one person’s loss is another one’s gain and there is no better time than now to pick up a bargain and buy a cheap car. There has been a significant increase in cars repossessed from Absa, Standard Bank and Nedbank around South Africa. Largely due to the rising interest rates and inflation in the country. Which can lead to people being able to purchase good quality secondhand motor vehicles at discounted prices. In the month of November 2008, Absa was repossessing 1 350 vehicles a month on average. That was reported by their vehicle and asset finance department. On average 7 000 bank repo’s a month are being brought in across all South African bank divisions. 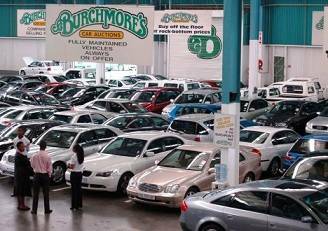 Birchmore’s auctions and Aucor Auctioneers are the two main houses in the country that handle the selling process. With events usually taking part in Durban, Cape Town, Johannesburg and various other regions twice a week. Finance is usually available from the main banks on the day of the auction. Or you can speak to your local branch about how much money they may be prepared to finance you with to bid at one of these events. If you take the time to learn how the bidding process works. And attend a few events before physically getting involved yourself. You can certainly pick up some tips and advice on how to get the best prices when purchasing cars repossessed from the major banks in SA. We understand that the thought of attending an auction event can seem a little overwhelming. So we have included the useful video below to help you see how easy it actually is to attend one of these events. And become an active bidder on the various bank repossessed vehicles being auctioned off. Visiting repossessed vehicle auction events can be interesting. Especially so if you are searching the market for a good second hand vehicle. If you haven’t yet, it is always a good idea to visit the Aucor and Burchmores auctions to see their upcoming events. These are two of the most well known auction companies in South Africa. So you are sure to find good cheap vehicles, mainly pre-owned ones. If you are going to a bank repo auction, all the cars sold will be second hand so they will be cheaper. Just make sure you have the finance before bidding. Attending a cars repossessed auction, means that you have a good chance of finding just the car that you are looking for. With the added bonus of getting it at a really good price. The cars repossessed for sale at these events are vehicles that have been confiscated by banks and other creditors. Due to the vehicle owners failing to pay back the loans they made to purchase the cars. You will have more confidence if you know what to do when you go to an auction. So you will find the following seven tips very useful, no matter what make or model car you are looking for. The first thing you need to do is find a public auction which is to be held in your area. You can do this by looking for notices in your local newspaper, asking car dealerships for in formation regarding any upcoming vehicle auctions. Or you can check on the Internet as well. Should you be unable to find an auction site in your area, then you could attend an online one. There are cases where auction houses will offer financing to vehicle purchasers. But usually, you are required to pay immediately. If your bid is the highest, you will be required to put down a deposit for your vehicle on that particular day. Which could be in the region of 25% of the price of the car. The balance is usually paid to the seller within 24 hours of purchasing the vehicle. Either in cash, by using a credit card, or by means of a cashier’s check. Unless you are a mechanic, or you know enough about cars, it might be a good idea to take a qualified mechanic with you. To check for any defects or damage which you might not notice, such as corrosion, leaking fluid. As well as damage through collision. Auction houses usually give bidders some time. Which could be an hour, or a day, to inspect the vehicles that they are interested in. You must remember that you are purchasing the vehicle in its present condition. Because of this any defects that are found by your mechanic will have to be overlooked by you. If you feel that these defects are too many, then it would be a good idea to simply look for another vehicle. Because those defects become your responsibility as soon as you have bought the car. Do an online research about the vehicle’s identification numbers in order to obtain it’s history. You can do this and get the information sent to you instantly, if you have a mobile device. This report will tell you if the car has been salvaged at any time, received flood damage, or has been rebuilt. It will also tell you whether or not the airbags have been used. Whether that model has ever been recalled, or if the odometer has been tampered with, to show less mileage. If possible, bring along an Edmunds Guide or a Kelley Blue Book, in order to find out the value of the vehicle. If you have enough time, then do some online research as well. Once you have decided what you are willing to pay for the vehicle, do not change your mind. You must also remember that the auction house has to cover the cost of the auction. So the buyer’s premium will be added to the final price of the vehicle. When attending an auction for bank repo vehicles, your chances are excellent of finding your dream car. However, do not be so blinded by the fact that you have just acquired the bargain of a lifetime, that you forget to read the fine print on the contract before signing on the dotted line. You should also bear in mind that the vehicle that you have just bought, no matter how good a condition it is in, is a used car. You will not receive a warranty for it. In spite of receiving no warranty though, the amount of money you can save in buying a repossessed vehicle makes it all worthwhile.